This petite cascade of multi-colored crystals leads down to a larger crystal ball that glistens and shines in the sun, throwing rainbows against your walls. Hang it in your office or dorm room - it will add sparkle to the room - and your mood! Comes packaged in a sheer organza gift bag. Recommended for indoor use. These crystal sun catchers do for light what our chimes do for sound. 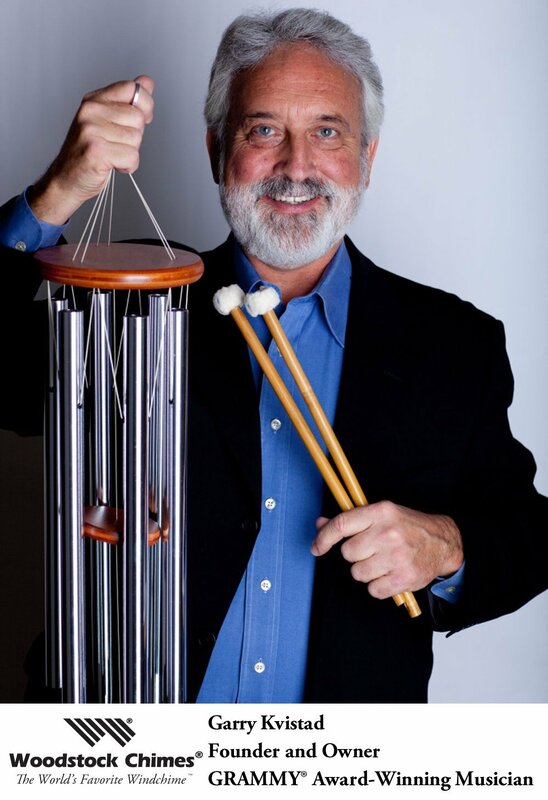 More than 30-years ago, the first Woodstock Chime was created by founder and owner Garry Kvistad from an aluminum lawn chair he found in a landfill. As a professional musician and instrument designer, he was fascinated by the Scales of Olympos, a 7th century pentatonic scale that can't be played on a modern piano. Garry had the idea to cut and tune the lawn chair chime tubes to the exact frequency of the ancient scale. The resulting Chimes of Olympos was the first Woodstock Chime and is still one of our bestselling wind chimes. Garry and his wife Diane founded Woodstock Percussion, Inc. in 1979 and it remains a family-owned business in New York's Hudson Valley.